Palladium wedding band with a unique lava-esque design. This palladium wedding band has a unique lava-inspired design that is covered with a frosted finish. The center has a texture that is both nice and unusual at the same time. 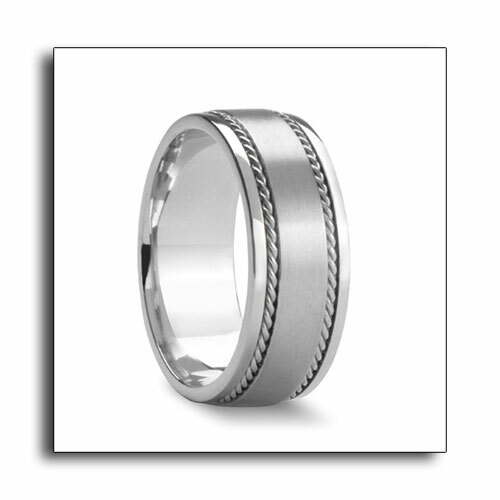 The L3077-7GC is a palladium wedding band that is 7mm wide. 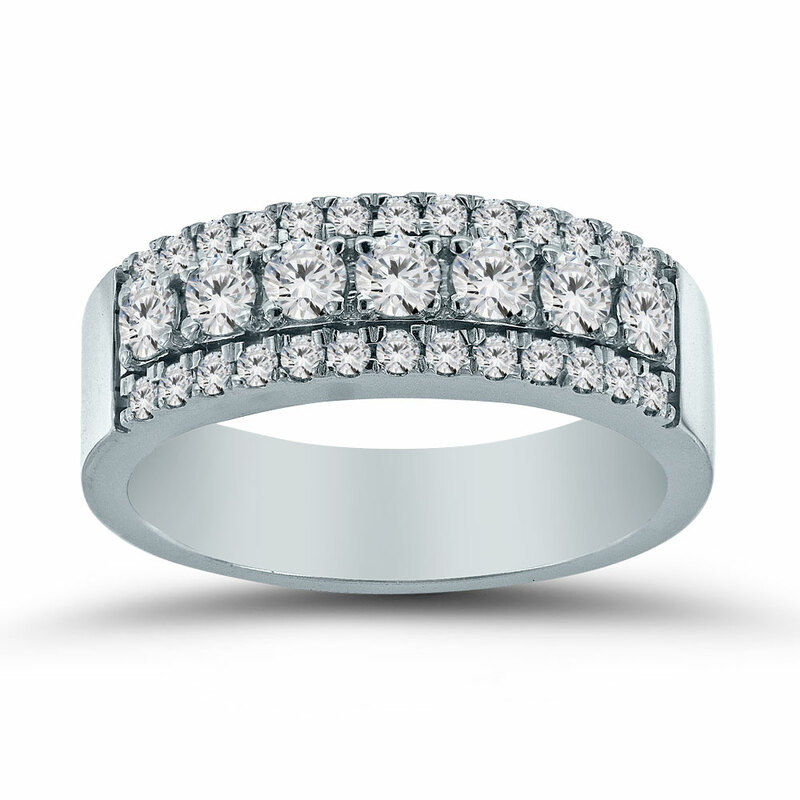 Novell can customize our wedding band and wedding ring designs to your specifications, so that your wedding band and wedding ring will be one of a kind. Exactly the way you want it. In different metals (platinum, palladium or gold), different widths, finishes and much more. Customization sets Novell apart from all the rest.